Entheos serves breakfast, lunch, and Kindergarten snacks. Our goal is to provide healthier meals than the typical school menu. We encourage all families to apply for free-and-reduced breakfast and lunch. You may apply at anytime during the school year. There are always paper copies of the application at the office. You may also print and fill them out to send in with your student, email to [email protected], fax to 801-250-5240 or mail to 2606 South 7200 West, Magna, UT, 84044. Breakfast is free at Magna, served in-class. 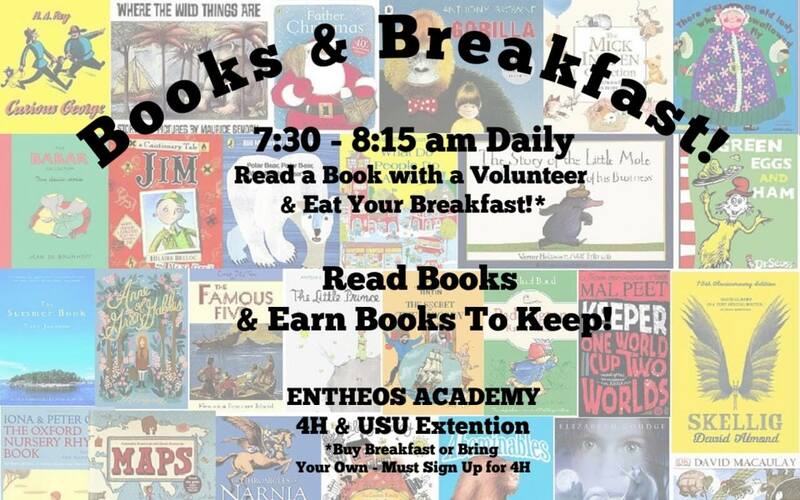 Every school day at the Kearns Campus, you can spend your morning eating breakfast and reading books with a volunteer!